A 15MM dice is not so common of 16MM. But we keep the mold for some special needs. All custom colors are available. With all the sizes of Dice available, don't know which size you need? Is a 12MM Dice big enough to easily game with? Just how large is a 25mm dice compared to other game components? 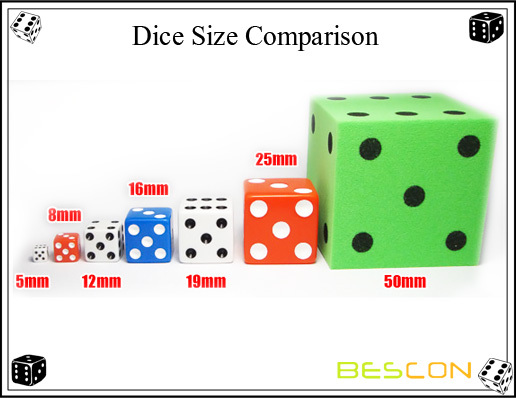 Take a look below at our examples of all the common dice dimensions to find out!